A little known fact about me is that I am enamored with Russian history. When I was an undergraduate, I took 18 hours of Russian history classes, and I only switched my emphasis within International Studies to Latin America because all the Russian history professors were old, stodgy and boring and when I took political theory from the professor who would become my advisor, she convinced me to switch. But I still treasure my copy of David Remnick’s Lenin’s Tomb. 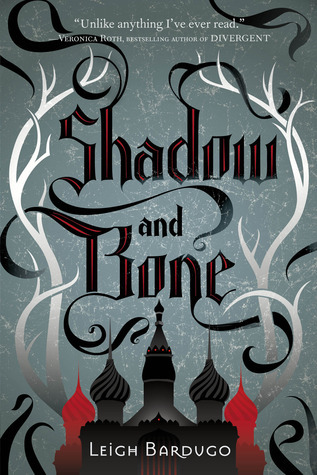 So when I read earlier this year about Shadow and Bone, a fantasy inspired by Russian folk tales, I was so excited. There was a lot of advance buzz for this book. For me, it did not live up to the hype. This doesn’t mean I didn’t enjoy it or that I think the author is a terrible writer or person. In fact, I liked the writing style and every interaction I’ve had with Leigh Bardugo has been positive. I never connected with any of the characters in the book. Alina lacked that certain spark that makes you want to root for a character. There was too little world-building for my taste. I wanted to know more about the magic and why exactly Ravka was fighting with its neighboring countries. There was less romance in this than in other YA fantasy series, which I do not think is a bad thing. But what little romance there was felt forced. Basically, this was a boarding school story where the heroine must learn to master her power, get a fancy dress for a ball, and go on a journey or quest. The Russian elements were mere window dressing. The plot was simple, predictable, and the magic and culture were smoke and mirrors to distract from the ordinariness of the story. This may have started out as a brilliant story when Bardugo first envisioned it. But with all the cross-marketing and nail polish and what have you, my suspicion is that it got watered down during the publication process. This is a novel that I will recommend to many teenage patrons of the library. It’s a story that is appropriate for younger readers and that I think teens will enjoy. It’s not making it onto my list of YA for adults, however. Next: Next post: So you loved The Hunger Games…what should you read next? I totally agree, it was a good novel but I was expecting more because of the hype. I’m hoping the second one will be better. Great review! I’ll be interested to see what you think of it! Heard a lot about this book and never really knew what it was about. I’m not sure if I’ll be adding it to my wishlist just yet then.